Tonight sees the broadcast of the highly anticipated Laphroaig Live show. 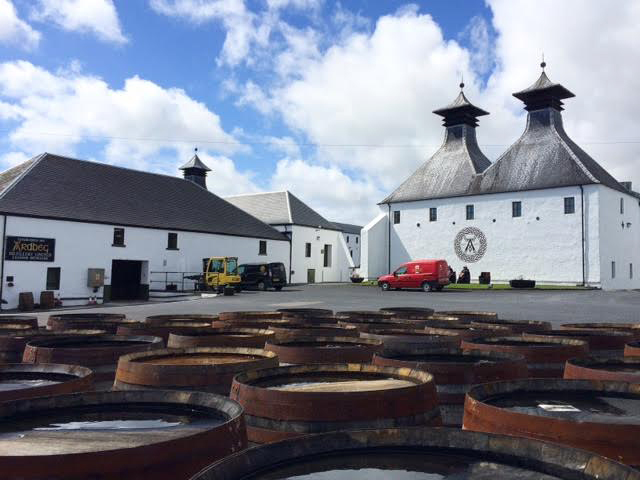 This year the iconic Islay distillery, which is famous for its very smoky style of whisky, takes the annual show to Germany. 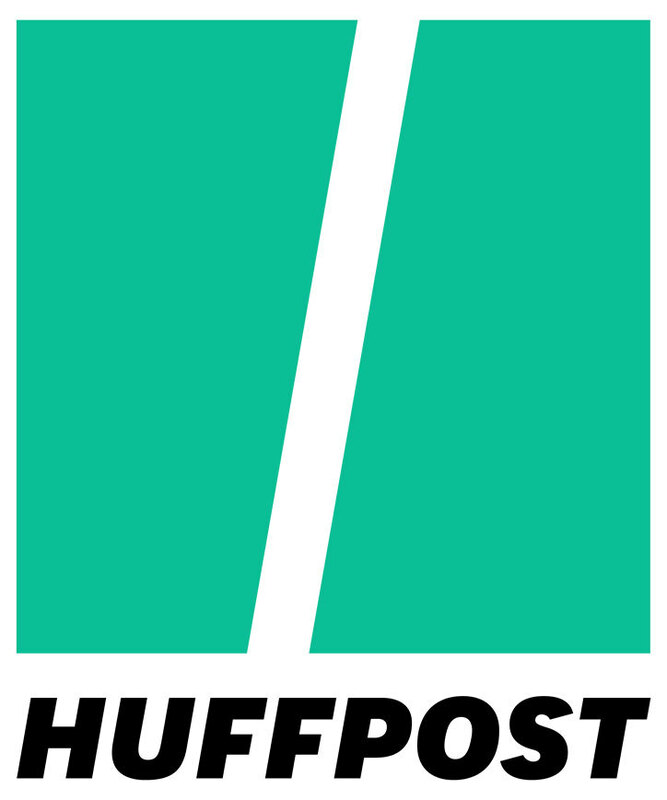 Previous shows have been broadcast from Australia, Scotland and Spain. 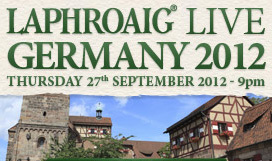 Laphroaig Live 2012 will be broadcast at 9pm local time (that's GMT +1, so 8pm in the UK for example). A panel of special guests - Laphroaig distillery manager John Campbell, Laphroaig Master Blender Robert Hicks, whisky writer Bernhard Schäfer and our good friend Pierre Thiebaut from whisky social network site Connosr - will take assembled guests and watching viewers from around the world through a whisky tasting which will be accompanied by German beer that has been matured in ex-Laphroaig casks and Laphroaig infused German sausages. Click the link above to see more details of the panelists. The Buchanan's whisky brand is one of the famous old names of the Scotch whisky industry. 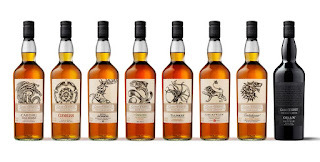 It is part of Diageo's extensive blended whisky range, which totals around 80 different brands, and has a particular stronghold in the South America. Within this, the main markets are Argentina, Brazil, Columbia, Mexico and Venezuela. 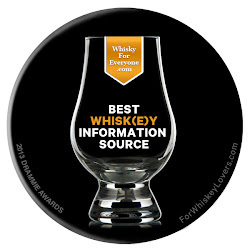 It is also the fastest growing Scotch whisky brand in the USA, as the Hispanic population are introducing it from the established markets. A new Ardbeg is always a highly anticipated release in the whisky calendar and this new Galileo (named after the famous 16th century astronomer, who championed the idea of heliocentrism and discovered the four major moons of Jupiter) is no different. It also has a great story behind it as it is released to celebrate Ardberg’s first ever experiment in to space. 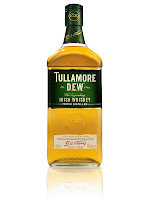 The team at Tullamore DEW have recently been hard at work revamping the packaging of the Tullamore DEW original bottling. 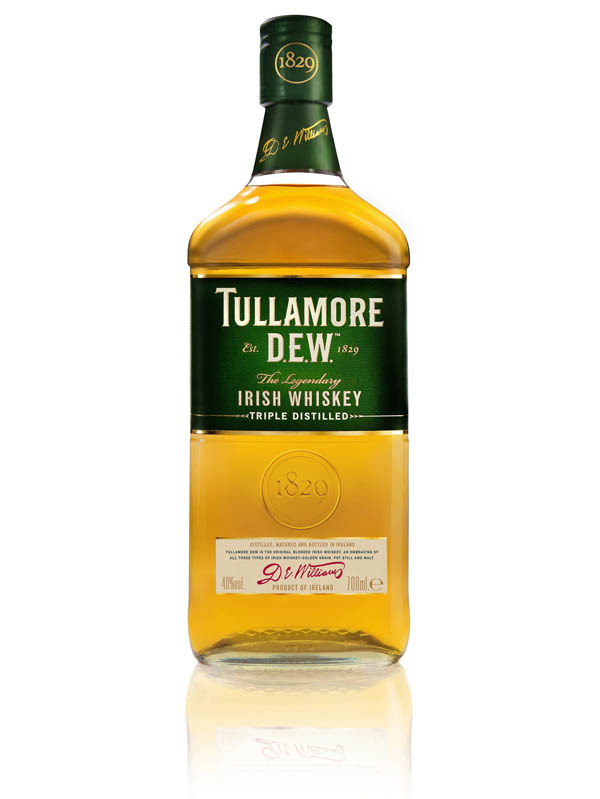 The new look bottle is designed to celebrate the history of this Irish spirit with a cleaner look and a notable nod to Daniel E. Williams, the man that created Tullamore DEW. 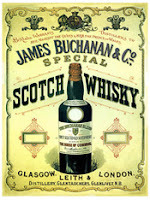 The world's biggest selling whisky brand has this week launched a new global marketing campaign. 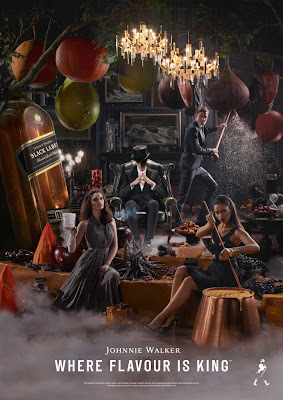 Normally, we would include such news in our weekly Inbox feature but we feel that the impressive quality, scale and magnitude of the photography and workmanship in the new Johnnie Walker Where Flavour Is King campaign warrants a full blog post. This thinking may have something to do with the fact that both myself and Karen are from photographic backgrounds, having studied the subject to a decent level. In this respect, it is easily the best and most engaging new whisky campaign that we have seen this year. Today sees the official launch of Macallan Gold, the eagerly anticipated first release in the new 1824 Series from the famous Speyside distillery. 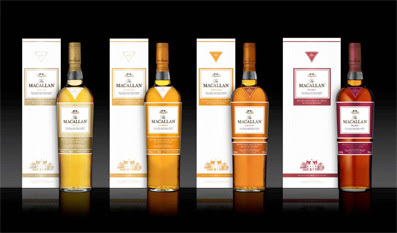 The 1824 Series is an innovative new range of single malts that has been developed by Bob Dalgarno, the Master Whisky Maker at Macallan, and focuses on colour. 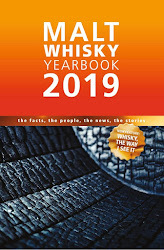 The ideas are to let the wood of the cask, and the colour that it imparts into the whisky, do the talking and that certain colours in whisky relate to certain flavour characteristics. The focus has well and truly been on The Balvenie this week. On the 3rd of September David Stewart, the legendary Balvenie Malt Master responsible for the quality and consistency of every bottle of Balvenie, celebrated his 50th anniversary at the distillery. 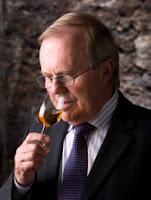 He began as a 17 year old apprentice back in 1962 and, as reported in this week's Inbox, commemorated the special day by announcing the release of a Balvenie 50 years old single malt that has been maturing at the distillery as long as David has been there. 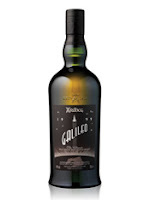 The famous Macallan distillery have announced the imminent launch of a brand new range of whiskies - The Macallan 1824 Series (pictured, above). 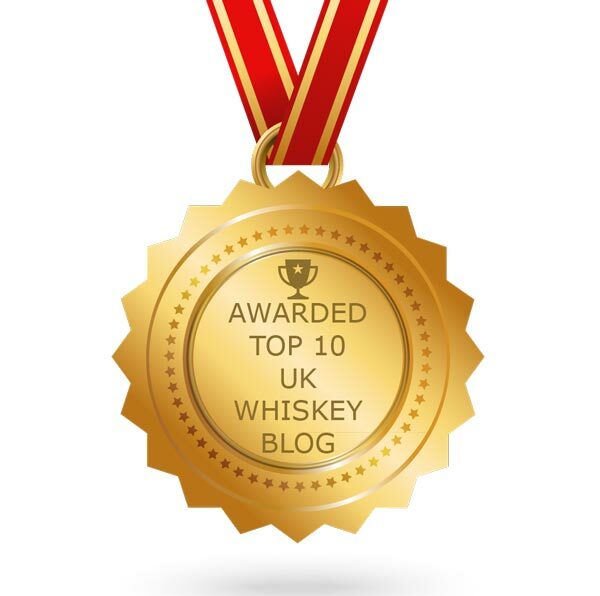 There have been rumours about this new range circulating around the whisky blogosphere for the last two months or so, and it seems to have been causing quite a stir amongst our fellow bloggers and whisky fans alike. 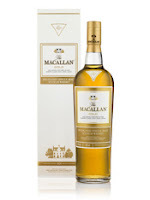 Macallan is one of the biggest selling single malt whisky brands in the world and comfortably sits in third place for sales, so any new releases are going to be viewed with plenty of interest. 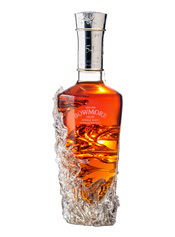 But this new range is one with a bit of a difference and I was delighted to be invited to the media launch at the distillery last week.